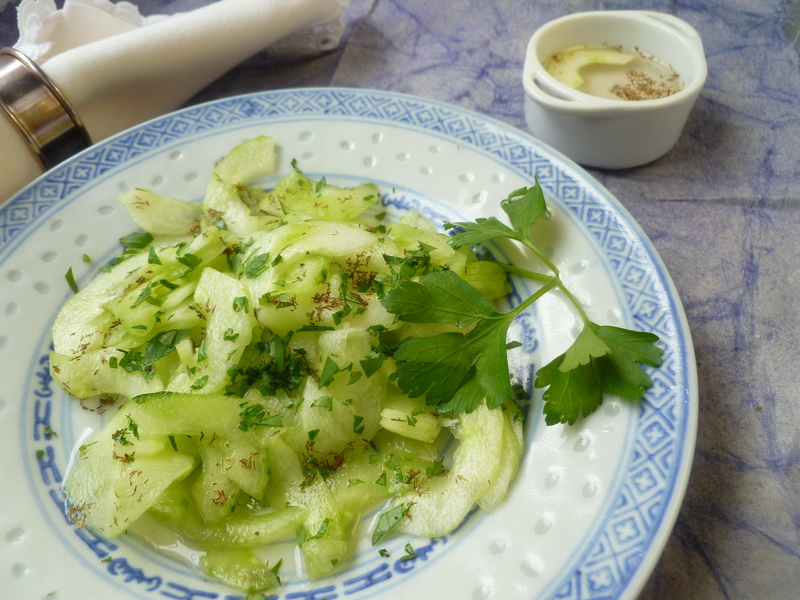 It is a rare restaurant in Budapest which serves traditional Hungarian food and has no version of this cucumber salad on its menu. 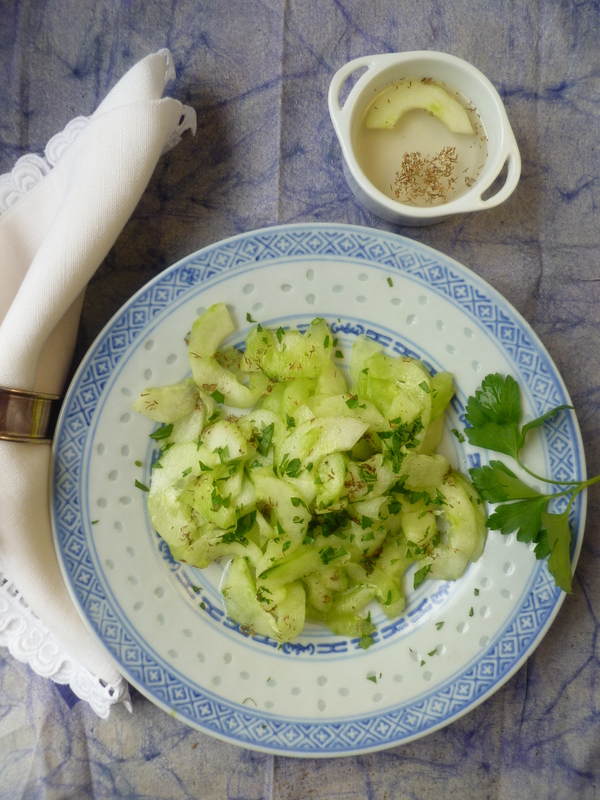 But ordering ‘Uborkasaláta is not without its surprises, albeit the basics of this salad are quite simple: sliced cucumbers in a sweetened vinegar marinade which contains no oil of any kind. Some versions add a bit of garlic, onion, dill or paprika; a purist may prefer no additional herbs or seasoning other than salt. Marinating time will altar the salad’s character significantly: the longer the cucumbers stay in the vinegar, the more they resemble a pickled vegetable. Of the many varieties of this fresh-tasting salad the diplomatickitchen has encountered, none of them have been disappointing and all have something to recommend them. Here is one rendition that may serve as a basis for developing your own customized ‘Uborkasaláta’. Timing Note: The marinade should be made a day or several hours in advance so that it may be chilled before pouring over the cucumbers. 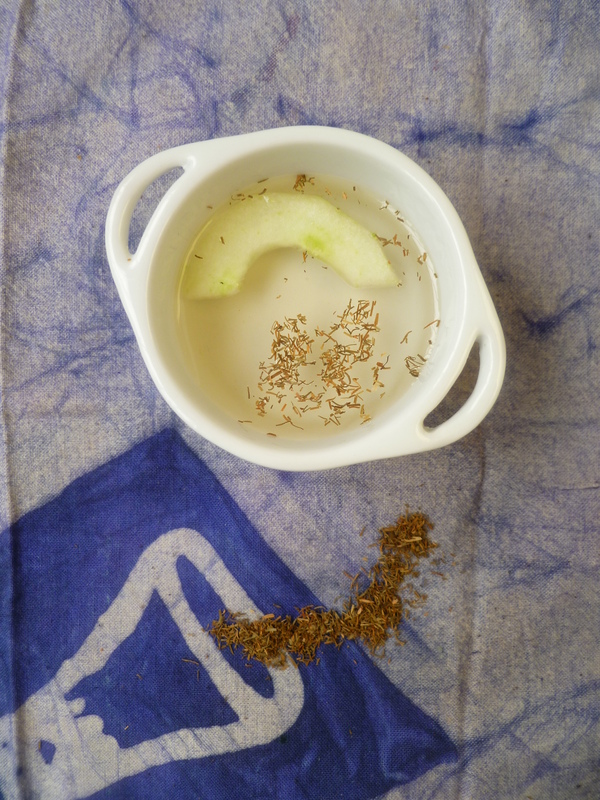 The sliced cucumbers drain for 1 hour before they are marinated. In this version of the salad, the cucumbers marinate for only 30 minutes. 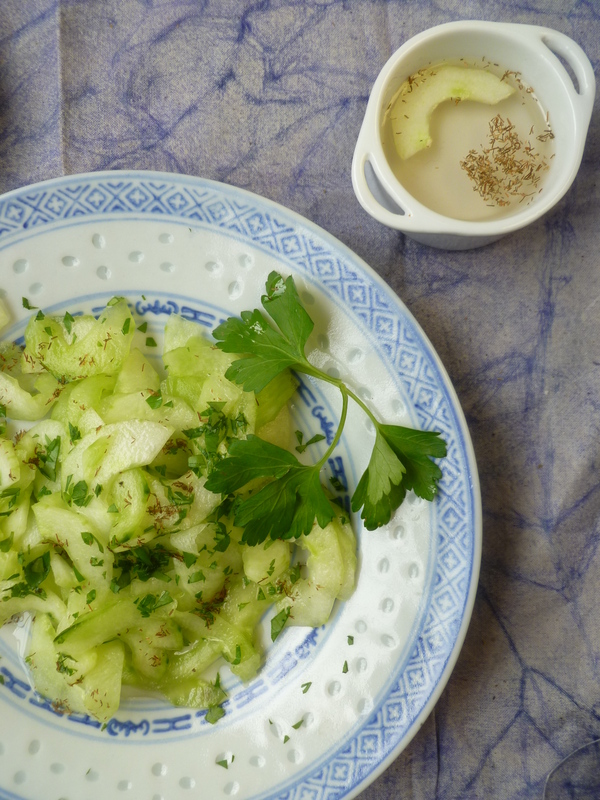 4 cups of peeled, thinly sliced Cucumber: The pictured salad is made using English cucumbers, but any variety, so long as it is fresh, will be good in this salad. a Food Processor fitted with a Slicing Blade will quickly and effectively slice the cucumbers or, slice them by hand with a Knife. 2. Put the cucumber slices in a bowl, sprinkle them with salt, and weigh them down by placing a plate on the cucumbers and one or two heavy cans on top of the plate. Refrigerate the cucumbers while they drain for about 30 minutes. 3. Take the cucumbers from the refrigerator, remove the weight, squeeze the cucumber slices by handfuls to remove as much of their water as possible and transfer them to another bowl. For a crisp salad, pour the vinegar marinade into the slices about 30 minutes before serving. Return the cucumbers to the refrigerator while they marinate. 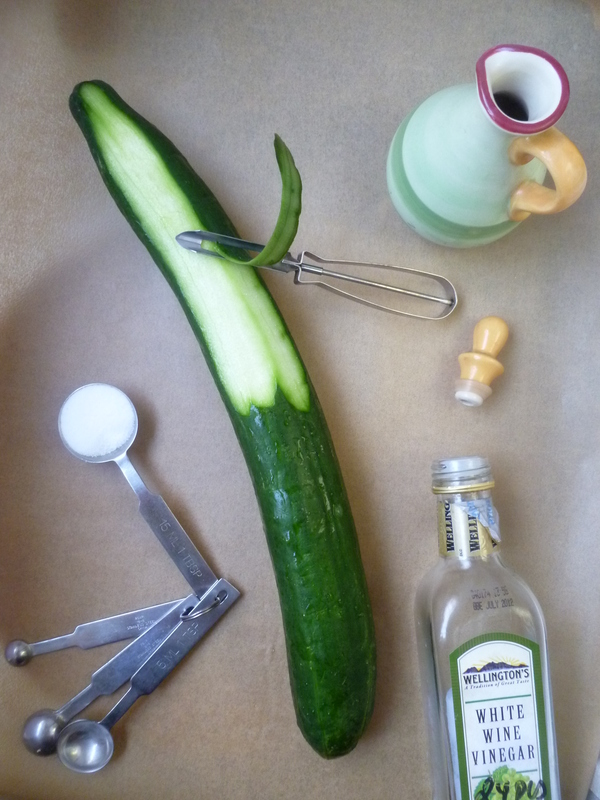 For a more ‘pickled’ result, marinate the cucumbers for an hour. 4. 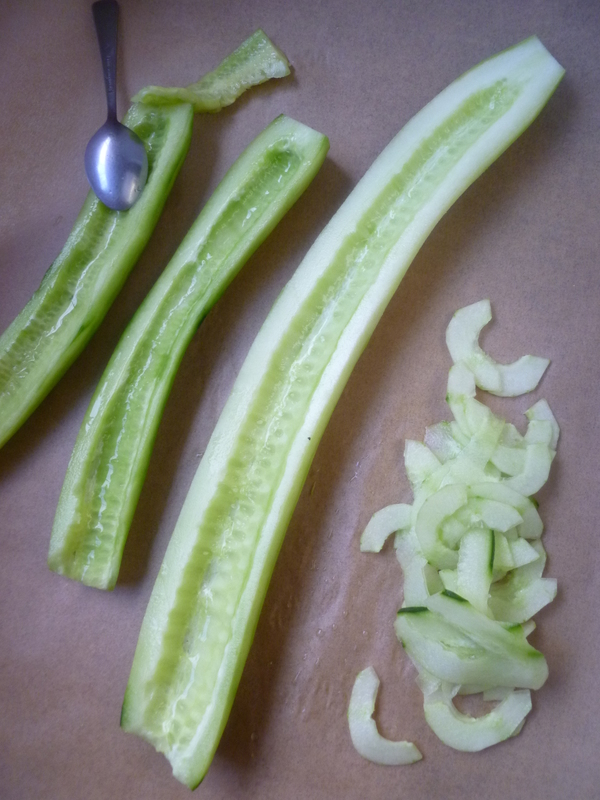 With a slotted spoon, divide the cucumbers among salad plates. Pour a little of the marinade over the salads and sprinkle them with parsley. Add a branch of parsley for decoration if you like. Note: The marinade may also be used on French green beans or baby carrots which have been blanched for a minute and refreshed in ice water before marinating. 1. Mix together the vinegar and sugar in the saucepan and heat them, stirring, over low-ish heat until the sugar dissolves. 2. 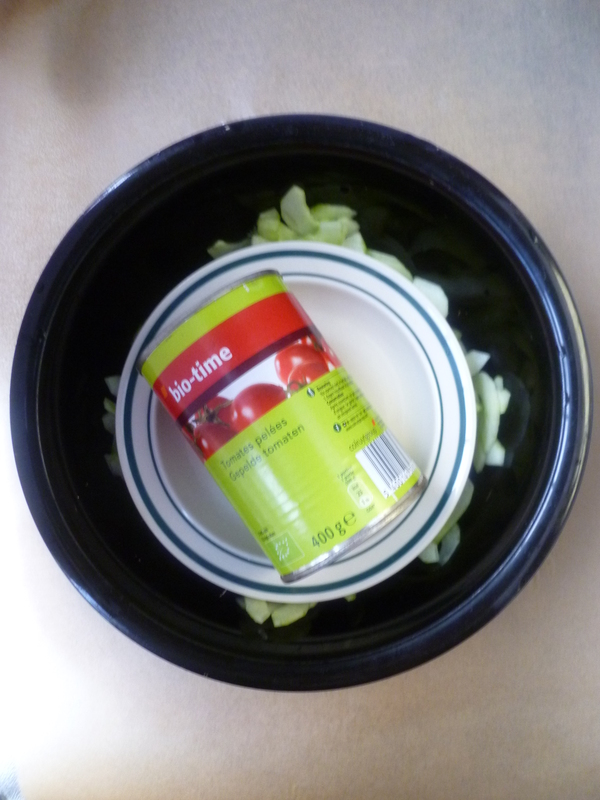 Pour the marinade into a small bowl and refrigerate it. Once it has cooled a little, add the dill and return the marinade to the refrigerator until it is well chilled. 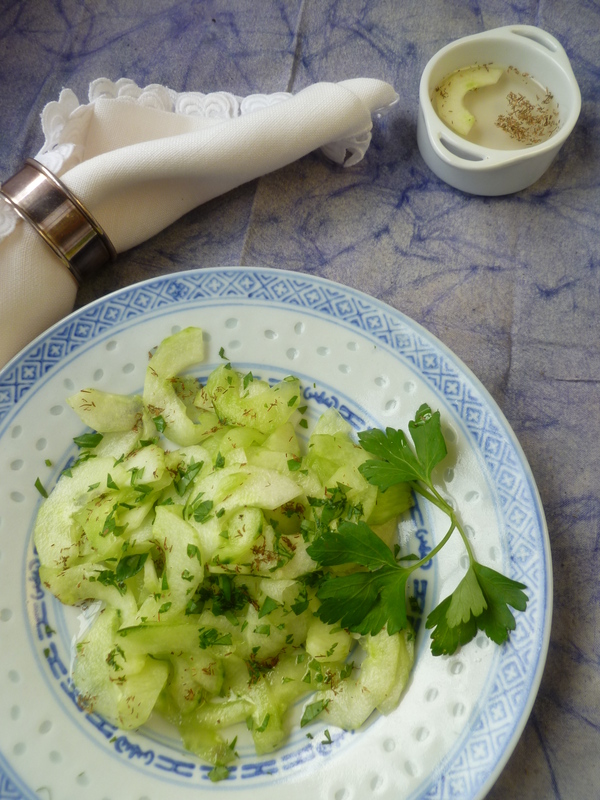 A Note: Crisp Pickled Cucumber Salad ~ Ropogós ecetes Uborkasaláta is the Salad Course of the Dinner Menu: Magyar Accents ~ a Dinner for Four.